Dr. Cui Shoujun, Associate Professor and Assistant Dean at the School of International Studies at Renmin University of China (RUC). 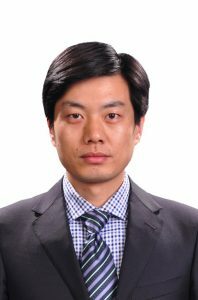 He graduated from China Foreign Affairs University in 2006 where he received his Ph.D degree, and then joined the faculty of Foreign Affairs Department with School of International Studies, Renmin University of China. His research focuses on energy studies, China’s foreign policy, geopolitics, and developing countries (Middle East, Africa and Latin America). He was a EU Marie Curie scholar to several European Universities and an “International Visitor Leadership Program” (IVLP) visiting scholar to the U.S. Department of the State. He has published several books, numerous academic articles, and op-ed articles in both Chinese and English. His edited book titled China and Latin America In Transition: Policy Dynamics, Economic Commitments and Social Impacts will be published soon by Palgrave Macmillan. Dr.Cui can be reached by email cuishoujun@hotmail.com or cuishoujun@ruc.edu.cn.